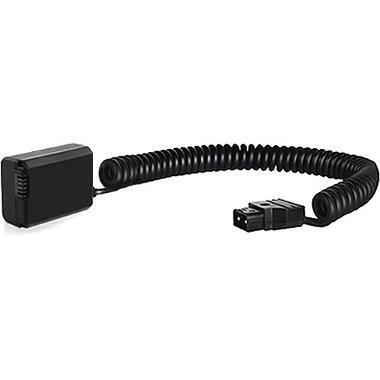 The P-Tap Cable for Sony a7 Series is a DC p-tap unit connected to a faux battery that you put into your Sony a7 series camera for longer power when paired with a DC Broadcast Battery (rentable separately). This is ideal for videographers, studio shooters, and events when the basic a7 batteries are not enough. This rental includes a coupler connected to p-tap and does NOT include a battery. DC Broadcast Batteries can be rented separately.